‘”All technology companies” face espionage.’ That was the message heard on Tuesday when Cree CEO Greg Lowe spoke to a Triangle Business Journal breakfast event about trade secrets and other challenges facing companies. Recently, we highlighted a piece in Harvard Business Review about the evolving risk landscape that corporate leaders must navigate in this new century. Titled, “Political Risk Management for 21st-Century Businesses,” our piece summarized a larger work by former Secretary of State Condoleezza Rick and her colleague Amy Zegart that detailed the myriad dangers facing companies in today’s global landscape. 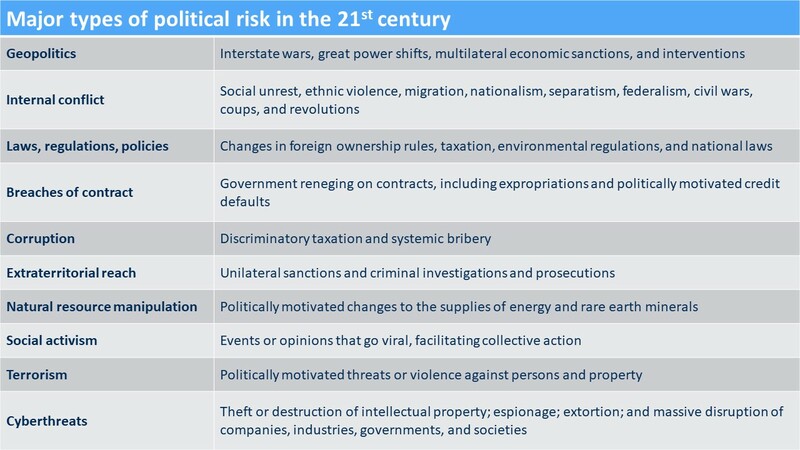 “Ten Types of Political Risk” from Rice and Zegart’s article, “Managing 21st-Century Political Risk,” HBR. NBC News recently reported on a former Duke University student, Liu Ruopeng, that is believed to have stolen his professor’s research on metamaterials, which underpins a special invisibility technology. During his studies at Duke from 2006 to 2009, Liu was allowed to bring colleagues into the lab as he worked for his professor. It was later learned that the Chinese researchers with Liu took photos and measurements of the research equipment. While the FBI opened a case to determine if it was indeed a theft of US intellectual property, the case was closed due to a shortage of evidence. Since his departure from Duke, nine years later, Liu is the founder of a $6 billion tech company that features a prototype of an invisibility cloak. Across town, ABC11 News reported another story about a Cree, Inc. employee of nearly 20 years that downloaded 32,000 files containing sensitive information and intellectual property worth more than $100 million. It remains unknown at this time if this individual shared the data with a competitor or a foreign entity, but the financial risks could far exceed initial estimates. While insider threats like this are not a new phenomenon, the ease at which an employee can steal significant amounts of data without anyone noticing is becoming easier and easier. 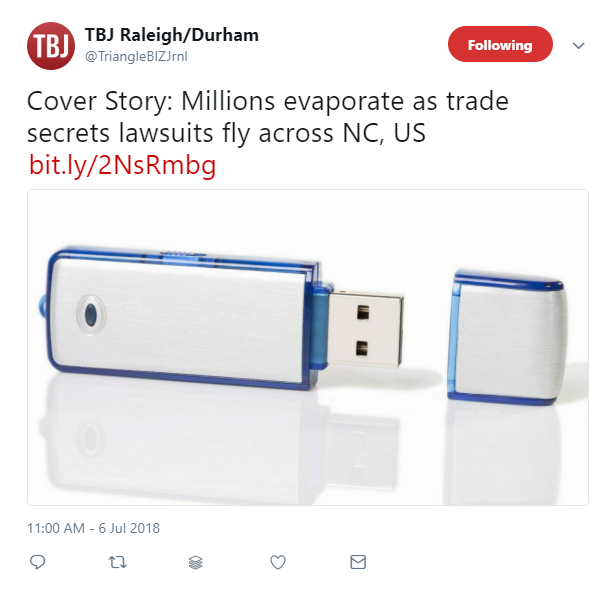 This was detailed in a recent Triangle Business Journal story about the increasing velocity of trade secrets lawsuits across North Carolina. 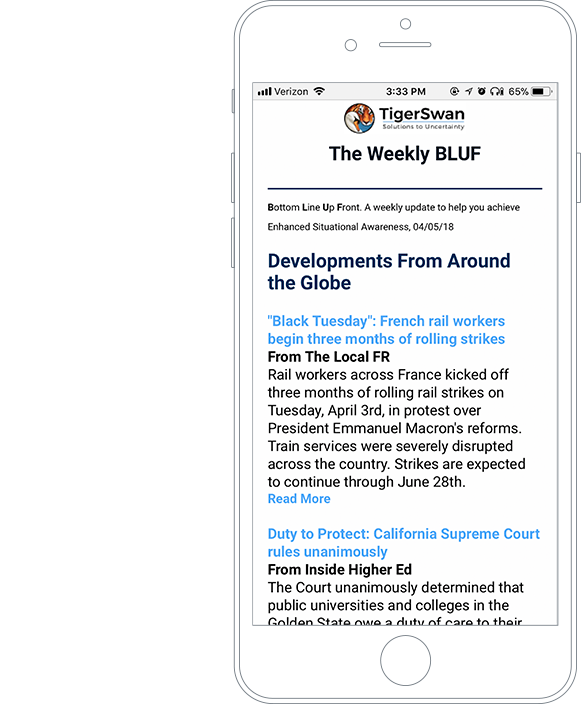 As a global risk management consultancy with deep knowledge of the worldwide threat landscape, TigerSwan has the tools to help other organizations succeed in navigating today’s complex business world. 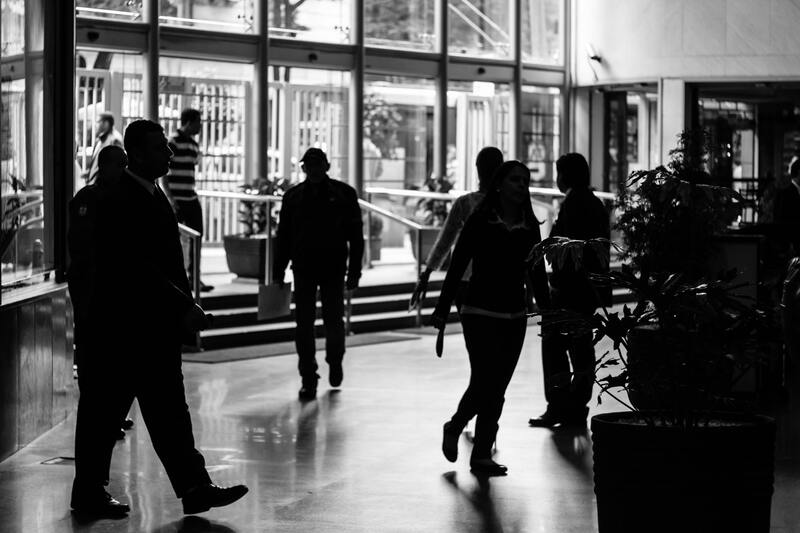 When working with clients, our goals are to foster better situational awareness across the organization, establish a common operating picture for a coordinated response, and provide 80% solutions that can apply broadly to any risk scenario with the remaining 20% initiated to respond to a particular situation. From thorough assessments to detailed response protocols, TigerSwan’s risk management consultants help clients navigate a risk management framework like the one proposed by Dr. Rice, to Understand, Analyze, Mitigate and Respond to the myriad threats facing their organizations and personnel on a daily basis.